All proceeds go to the National Institute for Reproductive Health. FREE FRONT ROOM ACCESS WITH DJS Mon Amie and Extra Water - DJ Voices AND 2-FOR-1 DRINKS ALL NIGHT! Rally+Rise is a grassroots group committed to making New York a progressive haven - all while redefining what it means to be an activist. Rally + Rise was born in the days after the 2016 election, and, in addition to state-centric legislative lobbying and educating, we're also committed to supporting groups that are dedicated to making New York a more progressive place. 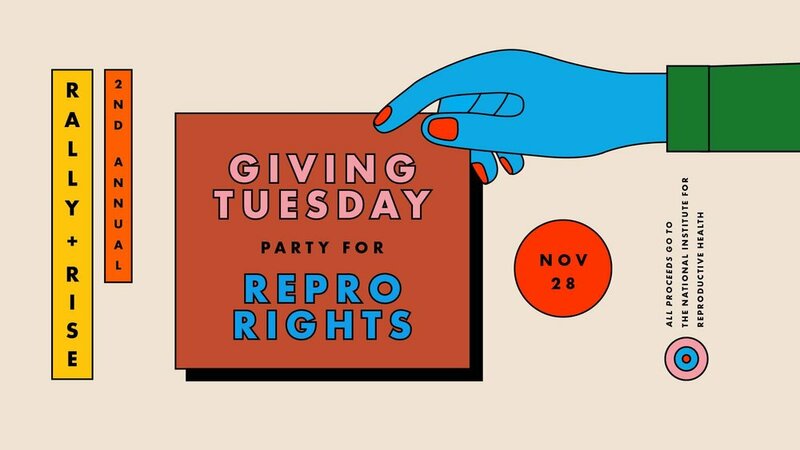 For our second annual Giving Tuesday fundraiser, we’re raising money for the National Institute for Reproductive Health, an organization committed to building state and local movements across the country to advance reproductive health, rights and justice. Particularly in New York, they are working to build a better future for the state by continuing to push for progressive legislation like the Reproductive Health Act and do away with outdated abortion laws.